Banasa helps the Ministry of Education in Guatemala to distribute books to public schools. Banasa is distributing textbooks to students of more than 100 public schools in the Department of San Marcos, to support the Education and the Government of Guatemala. I thank companies for supporting education in Guatemala. Banasa is supporting the Ministry of Education with the delivery of arts textbooks to public schools. The company has already distributed to first, second and third grade students in the Department of San Marcos. Tere Ligorría, director of USAID|Alianzas, said that one objective of her institution is to involve private firms in social development, and she thanked Banasa for its collaboration. President of Guatemala, Otto Pérez Molina stated that any sacrifice made in the name of education is an effort that will be recognized by all Guatemalans, especially children. 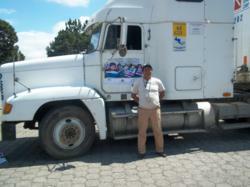 “I thank companies for supporting education in Guatemala. The books being distributed will benefit thousands of children. This effort is possible thanks to the teamwork of a group made up of 79 sectors including business peoples, foundations, non-governmental organizations and individuals."